The MG3700A Vector Signal Generator supports digital modulation of signals for all major wireless communication systems such as cellular phones and wireless LANs. With its 160 MHz high-speed arbitrary waveform baseband generator, wide vector modulation bandwidth, and large capacity ARB memory, MG3700A has the performance to provide signal generation for future wireless communication systems with wider bandwidths. 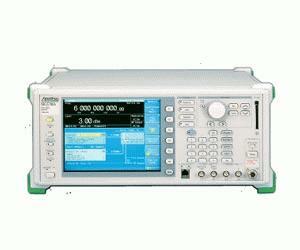 The arbitrary waveform generator is a standard function built into the MG3700A. By choosing an arbitrary waveform pattern, a modulation signal can be output that meets the requirement of various communication systems.